Copy of Accrededitations & Licensing — Avenue Home Care proving quality and skilled in home care ranked number one in North County San Diego. As of January 2016 the Home Care Services Consumer Protection Acts requires Home Care Organizations to be licensed, and their caregivers to be registered, with the State of California. For your consumer protection Avenue Home Care maintains this California State license and has mandatory status that all caregivers are registered and maintain that registration with the state of California. In addition to this license Avenue Home Care is proud to display their certificate of accreditation with The Joint Commission. This accreditation signifies our devotion to patient safety and emphasis on quality care. Only 2% of the Home Care companies nationwide have achieved this accreditation which surveys the compliance of standards that focus on key operational areas that most impact the safety and quality of personal care services, such as: – Staff competency – Patient assessment – Emergency management – Infection control. 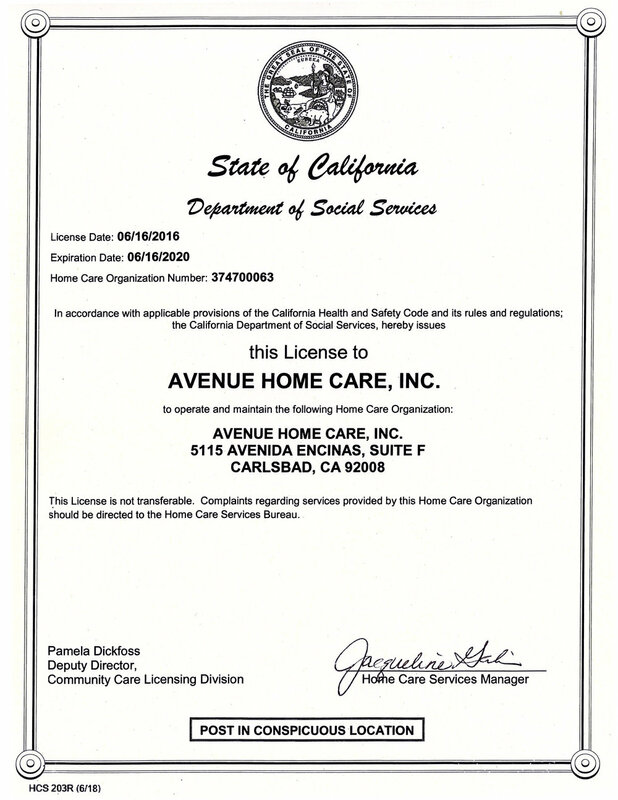 Avenue Home Care, Inc maintains a business license with the City of Carlsbad, which is where our office resides. To protect our clients and their families from potential loss or liability Avenue Home Care, Inc is bonded and insured. Verification of this insurance can be obtained by contacting the office. We also require that all caregivers who provide transportation maintain a current driver license and current personal auto insurance. Avenue home care is proud to have gone the extra mile to become a Joint Commission Accredited business. You can click on the below link to learn what this distinguished certification means and how by being a part of this organization it therefore holds us to a much higher standard compared to other home care companies. 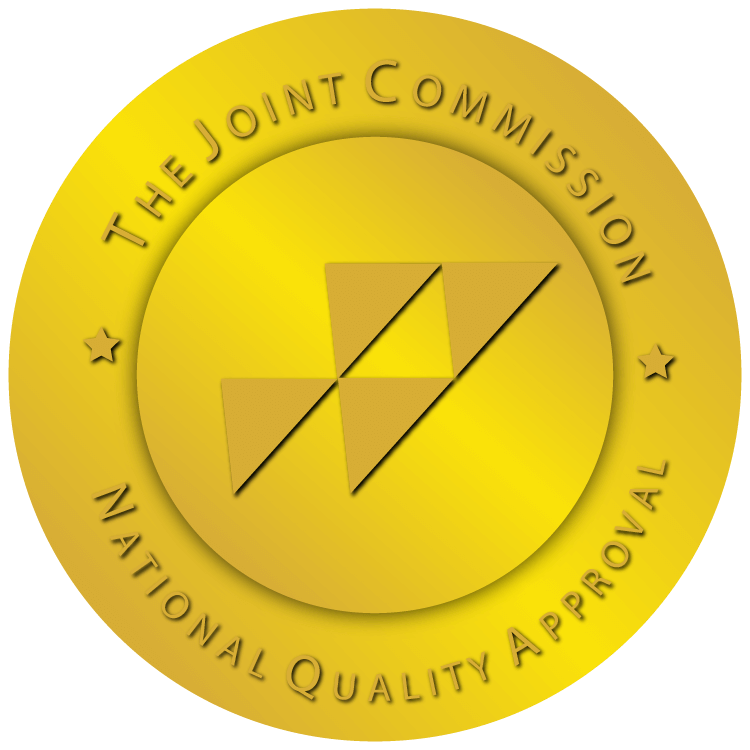 What does it mean to be joint commission accredited? You may click here to be connected to ‘The State of California Department of Social Services’ website. By entering our 9 digit state license number 374700063 you can verify that our license is current.